Real estate technology company Compass is teaming with John Zimmerman — the #1 producing agent in Fort Worth and #2 producing agent in Texas, according to the company — for the Fort Worth market entry. Compass, a New York City-based real estate technology company, has entered the Fort Worth market, bringing with it a powerful end-to-end platform that supports the whole buying and selling workflow. The move comes at the same time that Compass announced a $400 million Series F funding round. The company said that positions it to accelerate its 2020 vision of gaining 20 percent market share in the top 20 U.S. cities by that year, double down on technology, and expand internationally. The Fort Worth office — currently in a temporary space — joins a large already-established Dallas office to serve North Texas. Compass said that longtime Fort Worth real estate agent John Zimmerman, formerly of Briggs Freeman Sotheby’s International Realty, will be the founding partner of the Fort Worth market. Zimmerman has been a top-producing agent in Fort Worth and has closed more than $125 million annually. Fort Worth joins Dallas, San Diego, Seattle, Philadelphia, and Atlanta as new markets for Compass this year. The company plans to launch in Austin, Nashville, and Houston before year’s end, it said in a release. To date, Compass — which was founded in 2012 — has raised $1.5 billion in funding rounds. The real estate industry is a $217 trillion global asset class, but it has been largely untouched by technology, Compass said. 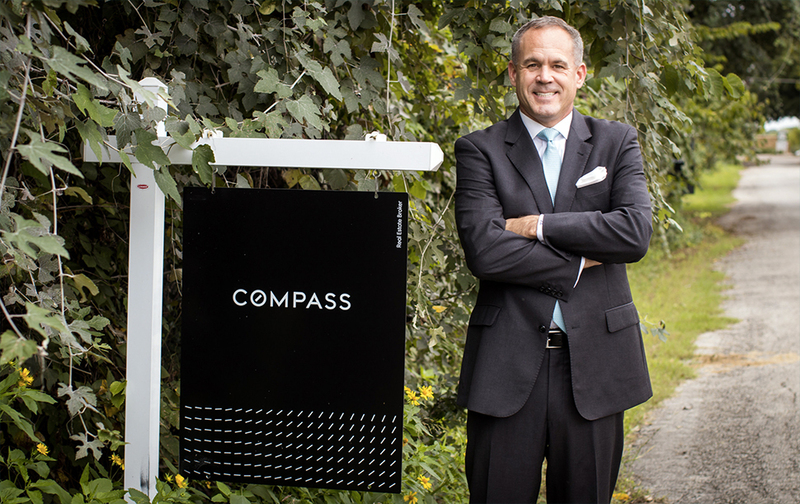 Compass Co-founder and CEO Robert Reffkin recently talked on the CNBC Squawk Box” about the company’s $4 billion valuation and trends in real estate.